Duncan’s sister Judy said they family has a strained relationship with the former Apprentice reality star, and framed her as a cold-hearted master manipulator. 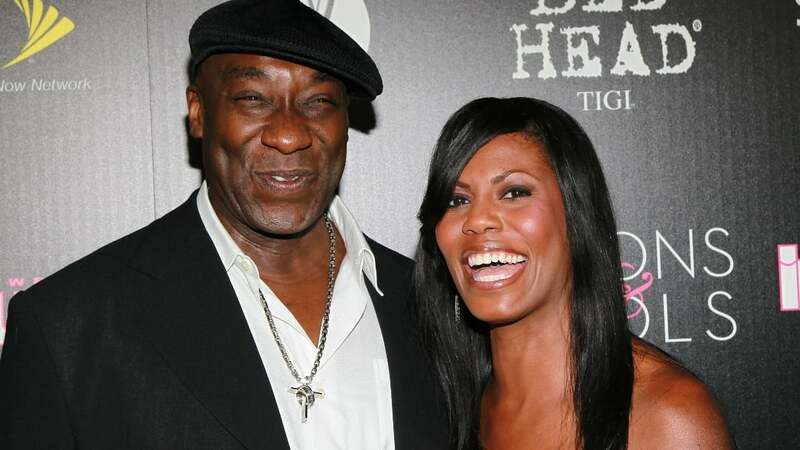 Michael Clarke Duncan‘s family came out swinging at his ex-girlfriend Omarosa Manigault-Newman, calling her a snake in the grass who manipulated the actor into changing his will so they wouldn’t receive a dime, the Daily Mail reported. As the former White House aide makes her rounds promoting the juicy Unhinged tell-all that dishes dirt about the Trump administration, Duncan’s family said they’ve been approached to comment about their previous relationship with Manigault-Newman. Duncan’s sister Judy said the family has a strained relationship with the former Apprentice reality star, and framed her as a cold-hearted master manipulator who took advantage of her ailing brother, who reportedly was engaged to her. Judy said Duncan “was not of sound mind when he made the changes… slurring words and stumbling around,” she said in reference to Duncan’s will. Judy referred to Manigault-Newman as a snake because she said she made changed to her brother’s will just months before he succumbed to a heart attack and died. Judy said she and the family fought with Manigault-Newman for control of her brother’s assets. But was left out of his will and much of his life after the author allegedly blocked their efforts for access to him. Judy said Manigault-Newman got the bulk of the Green Mile actor’s fortune. Judy also rebukes claims that Manigault-Newman was never engaged to the actor as she widely claimed to be. Judy believes her brother’s illness allowed Manigault-Newman to make changes to his will and manipulate him easily. “I think anyone can be manipulated at any time. I think there’s always somebody that’s going to try and get something out of you, and I think that’s what it was,” she said. Judy said Manigault-Newman denied the family personal items that tried to claim after Duncan’s death. Judy said they even tried to keep Duncan’s Green Mile chair as a keepsake, but Manigault-Newman reportedly sold it away. “She was getting way more than any and everybody. And that just sat wrong,” said Duncan’s niece who didn’t want to be named. Judy is still reeling from her dealings with Manigault-Newman. Manigault-Newman denied the allegations: “I don’t control the estate or the finances and Judy knows it. If you saw all of her emails and texts to me, you would see that she is just trying to get money from me, and threatened going to press if I did not give it to her and that is a crime!” she previously said, according to the Daily Beast.